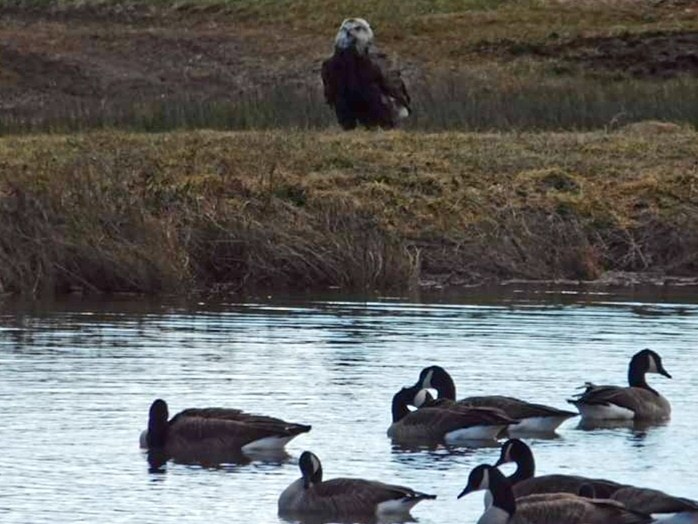 We have quite a few eagles around the farm but yesterday was a special treat. 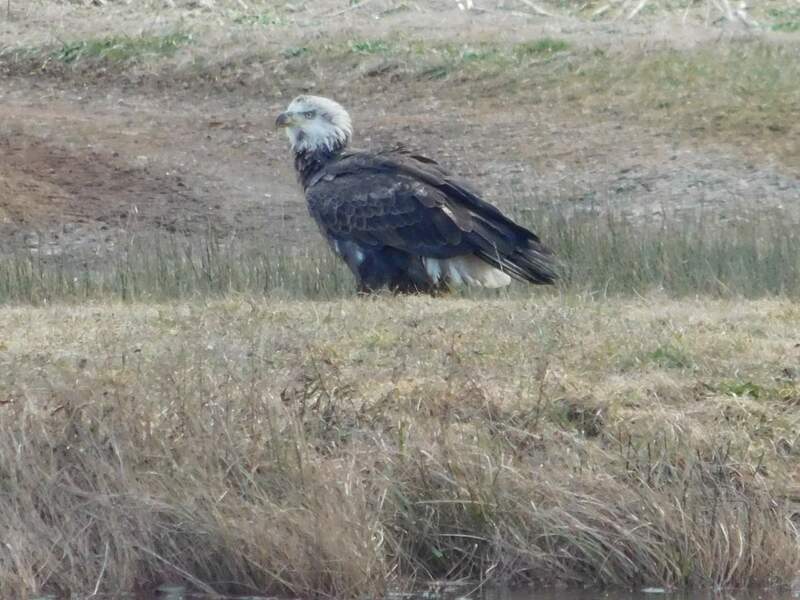 We had three eagles at our pond. Amazing! Grace had stepped out to clean out her duck house. We are expected to get extremely cold over the next few days so she wanted to give them fresh straw. She looked over at the pond and there they were. She grabbed her camera and got some amazing pictures. It was SO exciting! 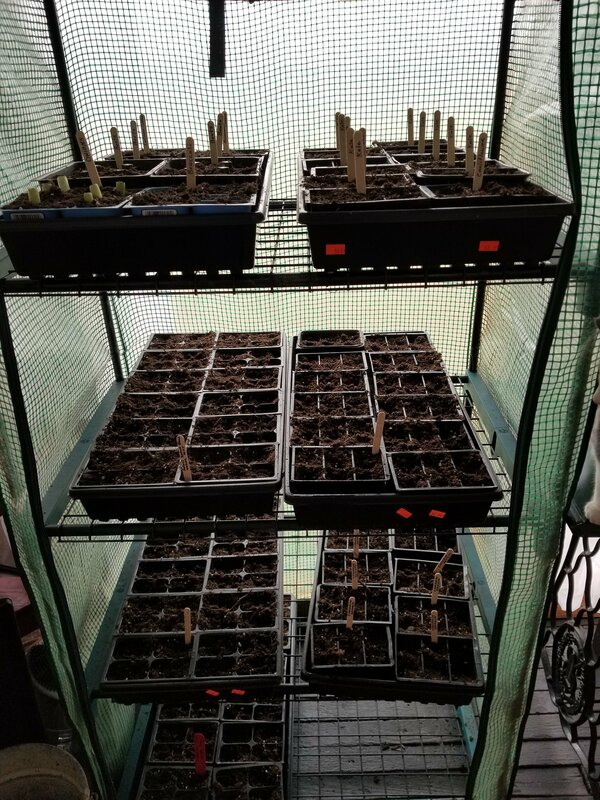 Over the weekend I decided to plant a few seeds. I planted several lettuce blends, kale, spinach and radishes. I plan on using these to make fresh salads. Hopefully (weather permitting) we will set up our larger greenhouse this weekend. Dave is coming to help us. 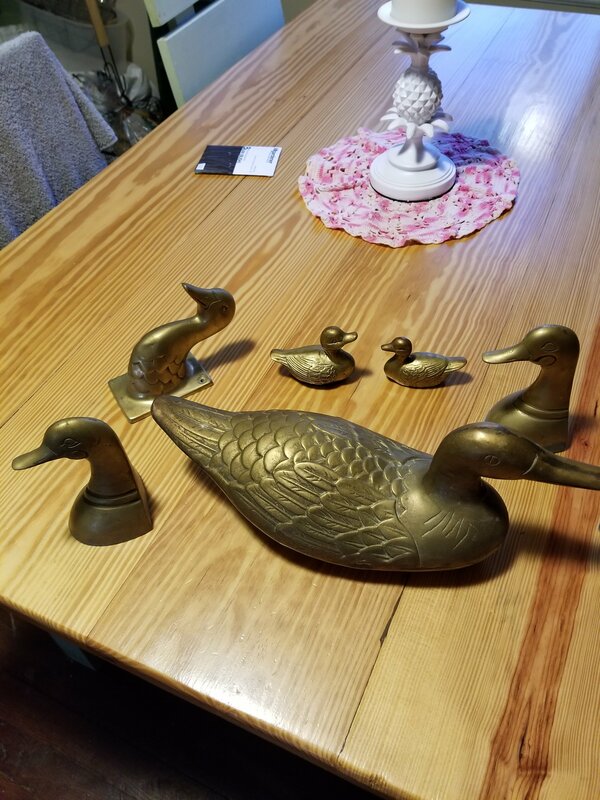 Dave gave Grace these bronze ducks. She loves ducks. These ducks were his Grandpa’s. She has them on a table in her art room. That’s about all for now. I hope you have a good day and God bless. That is so cool! 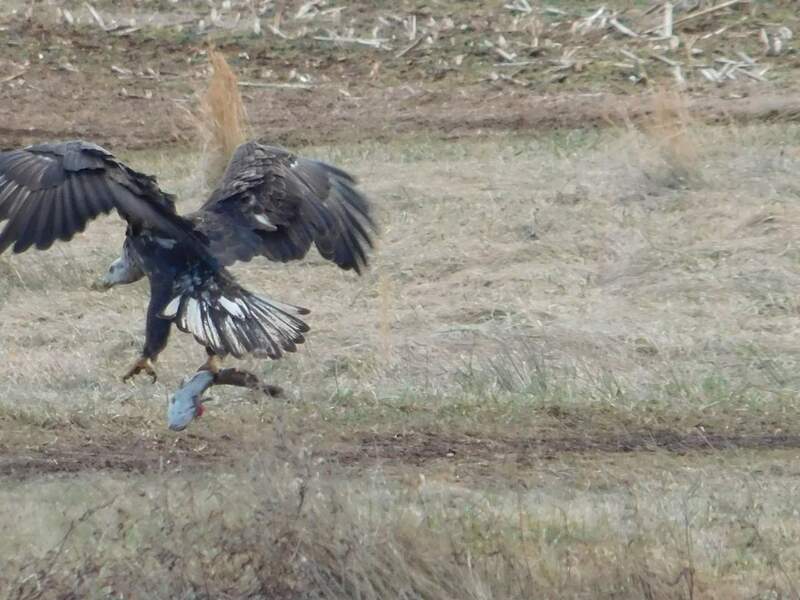 The kids and I really enjoyed the picture of the eagle with his meal. *smile* Thanks for sharing with all of us and for making sure I knew. I would have hated to miss this! *big smile* Have a great evening and keep the cool pics coming y’all. *smile* Sincerely, Mommy of two growing blessings & so much more!